I've gotten a lot done over the weekend, including making my cards to share with you this week. I really like how this one turned out. It uses Mary Jo's Monday Lunchtime sketch challenge for the card design. The theme comes from our LateNightStampers Challenge- to use a "bit of green" on our project. I must say it's cuter in person. Now go stamp your own card. Because it's that time of year, it also meets the challenge on Stamper Celebration. Such a cute card. I love the bow with the polka dot brad. What a fun card!!! Love how you embossed the white panel. Cute bow and brad too. Thanks for playing with us at the Stampin' Celebration! What a cute, cheerful card! I love how you embossed over the stamping and the fabric brad is perfect! 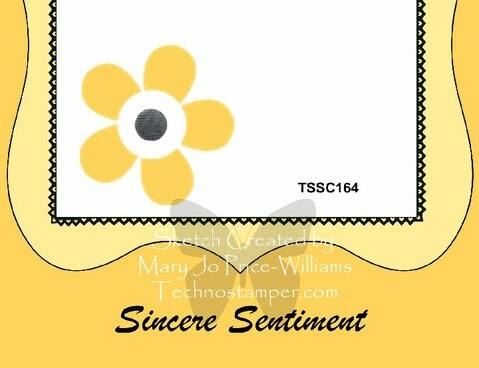 Thanks for joining us at Stampin' Celebration! Love it. I especially love the big green bow and brad. Awesome card. Great job combining the two challenges. Thanks so much for playing along with my sketch challenge again this week. Cute card! I love the embossed panel and the bow/brad combo. 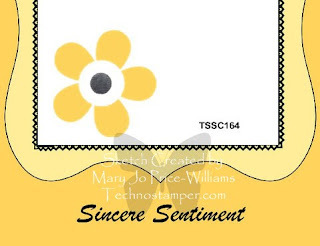 Thanks so much for playing along at Stampin' Celebration!